This is the local village of Kitijioji (an overpopulated town outside of the big cities of Shinjuku and Shibuya within the Megalopolis Tokyo). Music is everything here. None of the sensationalism of Roppongi, the unbridled youth of Shibuya, nor the sheer density of Shinjuku. In fact, not many here are salarymen, and those who are care not to admit. Instead a local music entertainment scene where music is the language spoken. Friends of mine DJ at Mandala, Yellow, and Star Pines Cafe. 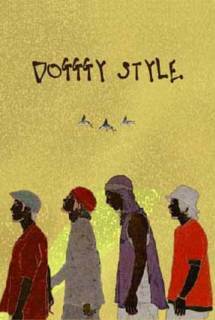 Dogggystyle is king here, and are the linch pins, friends of ours and we are fans too.